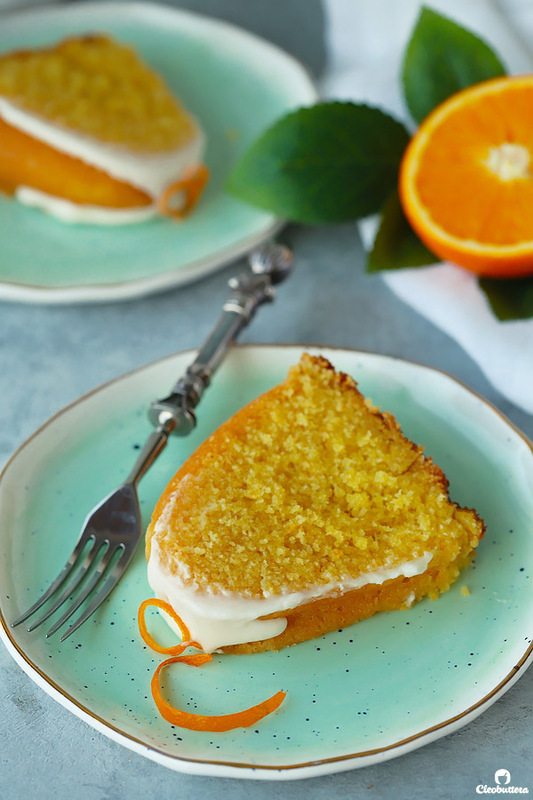 Soft and fluffy orange cake with a tender crumb, melt-in-the-mouth texture, and bright orange flavor. Leave it plain for a simple, everyday snack, or drizzle with cream cheese glaze to turn it into dessert. This cake recipe was purely developed for YOU, with no interest in it for myself. That is…until I tasted it. Amidst my usual cravings for chocolate, caramel, peanut butter, cinnamon, lemon and more chocolate, there has barely been any room for orange flavored things. So naturally, I’ve never been intrigued to bake with it. But a lot of you guys have been asking if I’ve got a solid orange cake recipe up my sleeve and I just hated giving ‘no’ for an answer. Others were curious, if they could substitute the lemon in this much-loved Lemony Lemon Cake with orange and I honestly wasn’t sure. 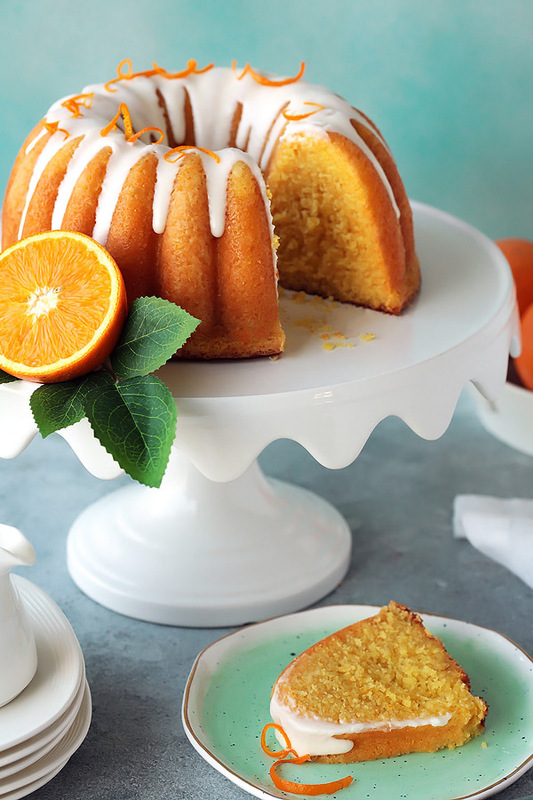 But it wasn’t until a sweet reader DMed me on Instagram and made me promise to come up with “a simple, everyday orange cake, like the ones we grew up eating…but better” that triggered my buttons. I’m a sucker for nostalgia…what can I say. AND! a good challenge. 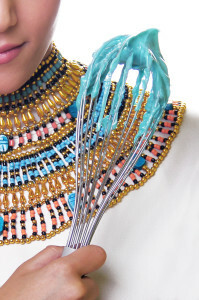 The thing is though…I think we were the only Egyptian household that never had orange cake laying around its counter. My mom was all for making marble cake on a weekly basis, which I think is the reason behind why chocolate runs in my veins. Orange cake on the other had…never made an appearance. 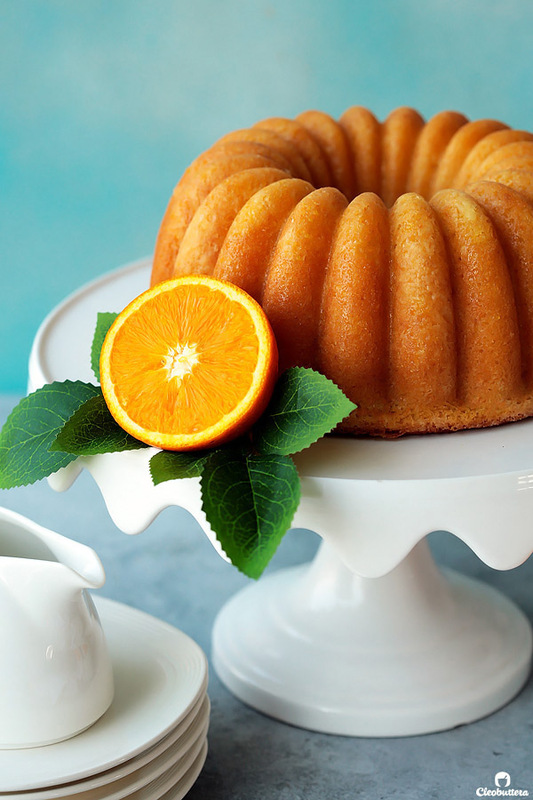 The orange cakes I’ve sampled at my friends’ and cousins’ houses were actually quite nice in flavor, and had a down-to-earth simplicity to them that made them an easy-going, everyday snack. 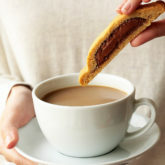 Plain and unadorned, perhaps with just a light dusting of powdered sugar, it was ready to greet impromptu guests who dropped by and treat kids after a long day at school. 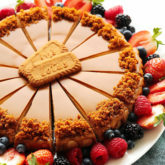 The orange flavor in this type of nostalgic cake is not overpowering, and has a pleasant scent of vanilla which I love, but it was the texture that I remember was off-putting. The crumb being coarse and not as moist as we’ve come to love cakes, is probably why I was never interested in making orange cake. 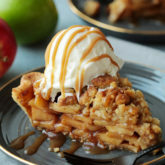 But now that I am…I knew I wanted to build on the familiarly good flavor, and give the texture the makeover it deserves. 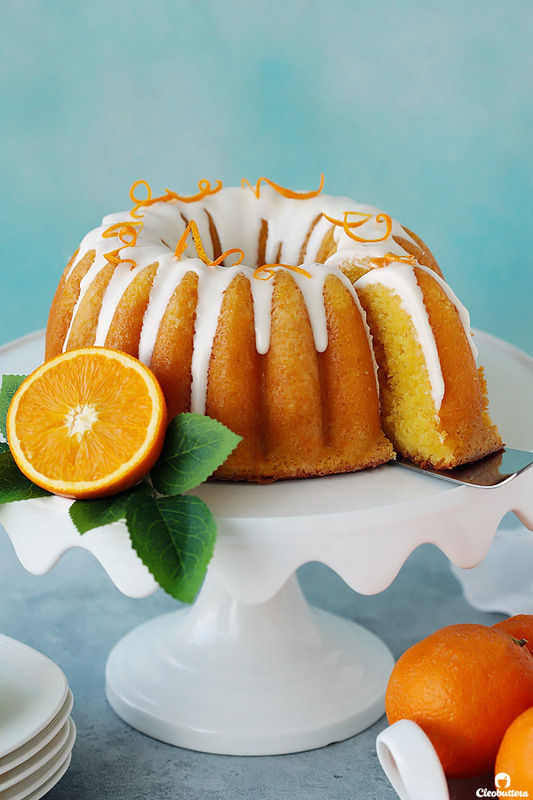 THE RESULT: A super soft and fluffy cake with a tight, but tender crumb, melt-in-the-mouth texture, a bright orange flavor with a perfect balance between sweet and zesty, that is just as good glazed, as it is left plain. It is everything I had hoped for and more. I was literally moaning the first time I took a bite of it. It’s that good! Simple, soft, tender, fluffy, flavorful and slices like butter. A serious upgrade from the orange cakes we grew up on. And have I mentioned that it’s mmmmmmmmmoist?! That dreaded word that a lot of people hate. Sorry guys, but there’s no better way to describe it. 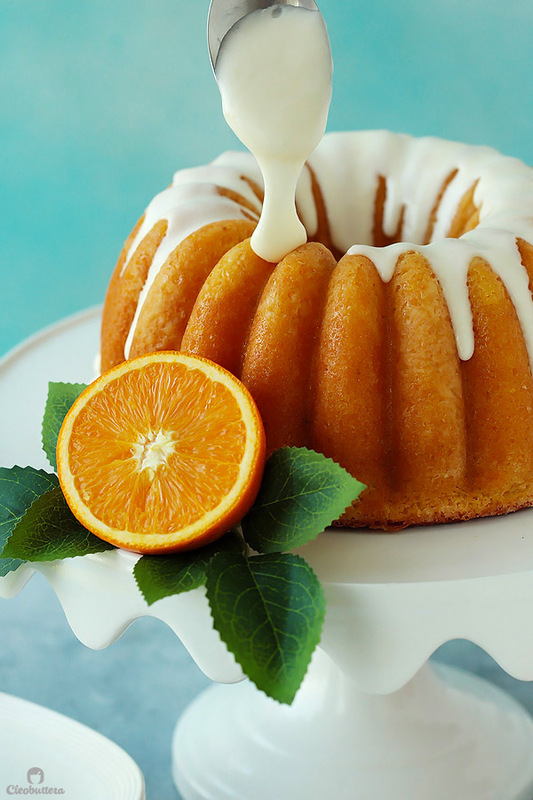 Now let me show you the ins and outs of this cake and what makes it one of the best orange cake recipes you’ll likely find on the internet. 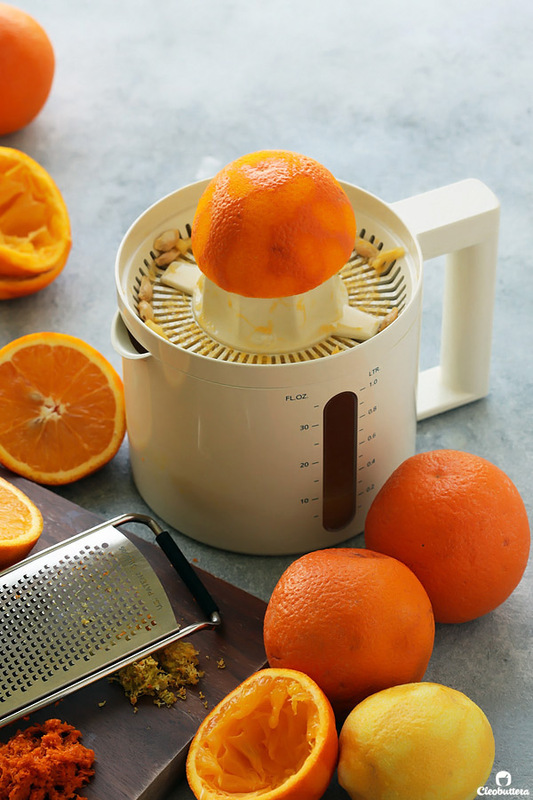 For an assertive orange flavor that shines beautifully into the cake, we’re going to be using both the zest and juice of fresh oranges. But that’s not only it! We’ll also be adding a tiny bit of lemon zest, which adds another dimension of citrus. I’ve found that orange zest alone, yields sort of a flat, one-dimensional citric note, while lemon brightens things up without making the cake taste lemon-y. When zesting your fruit, make sure to only get the orange (or yellow) part and avoid the white layer which tastes very bitter. I tried making this cake with oil as opposed to butter, as per traditional recipes, but the flavor was just…’blah’ for the lack of a better word. Due to the neutrality of oil, the cake tasted of nothing but orange and lacked interest and depth. So I quickly knew that butter was inevitable for the sake of flavor. It adds rich, buttery notes that nicely compliments the citrus ones. And do I really need to convince you that butter tastes better than oil?! So we start the cake by creaming together the butter and sugar along with the 2 zests to release their flavor oils. After mixing in the eggs, comes my favorite cake moisturizing ingredient of all time: sour cream. 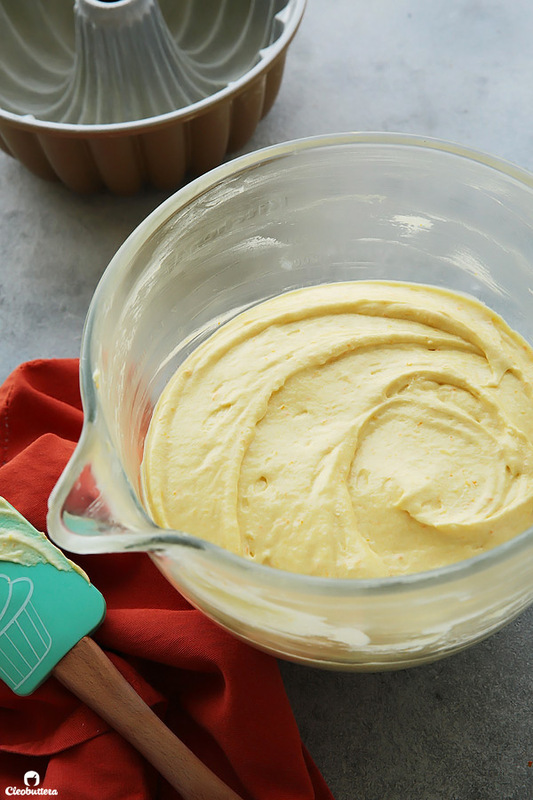 I use it in most of my cake recipes and that is due to its magical ability to give unparalleled moisture and tenderness to cake, while adding a tangy flavor that offsets the sweetness. I just love what it does to cake. However, if you don’t have sour cream and/or would like to increase the orange punch of your cake, you could omit it and sub in more orange juice. I tested it both ways and personally prefer the orange juice/sour cream combo for the tangier notes it lends and for that ever-so-slightly extra moisture it adds. No worries though…if you do choose to go with the ALL orange juice option, it will still turn out very moist and fabulous; it will just lose the tangy dimension that sour cream adds. 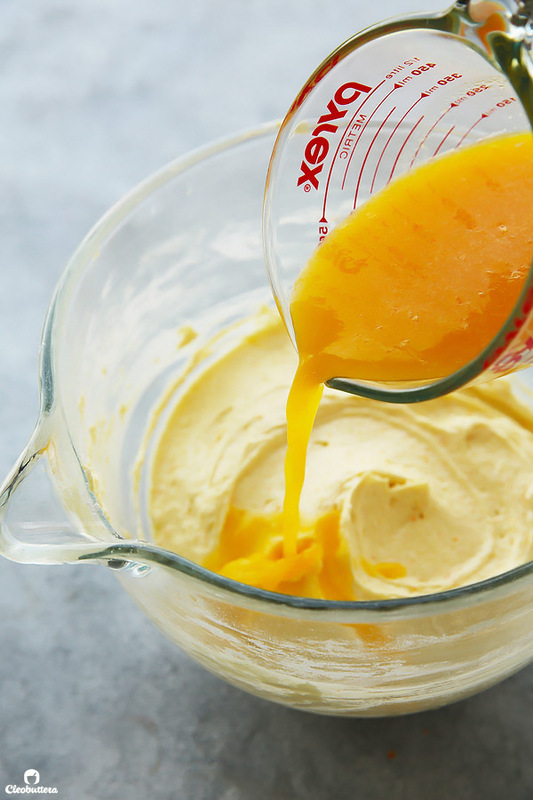 So when mixing the batter, we alternate between the orange juice and the dry ingredients. You’ll notice that I’ve used cornstarch (aka cornflour) along with the all purpose flour in the dry ingredients. That is a trick I love using whenever I want to produce a fork tender cake. Cornstarch lowers the protein content of the flour, so it doesn’t develop as much gluten, and in return makes for a finer crumbed cake. The cornstrach/flour combos sort of replicates the results of using cake flour, which I know many of us don’t have access to. If accessible to you, you can most certainly sub the cornstrach/flour for cake flour. Now pour it into your pan before licking it all off…then bake and be prepared for your entire home to smell like oranges. 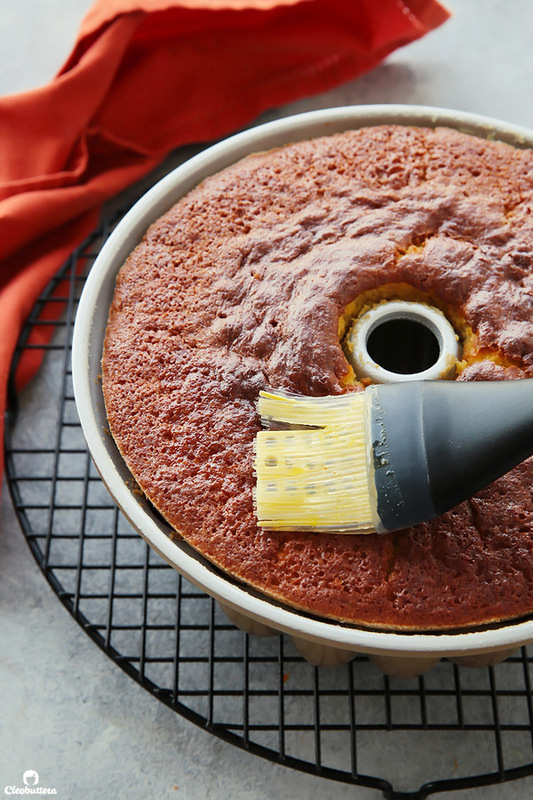 While still hot, you can choose to brush it with an orange syrup for an added layer of orange flavor, and a little extra moisture, but trust me…the cake won’t suffer one bit without it. It took me a while to decide whether I want it in the recipe or not, as the difference with and without is minimal. For some reason though, I think it’s better with it by just a hair. So feel free to skip this step if you’re all about simplicity. But if you’re like me and don’t mind complicating things for that little extra oomph…then go for it and brush the top as well while you’re at it. And ta-da! 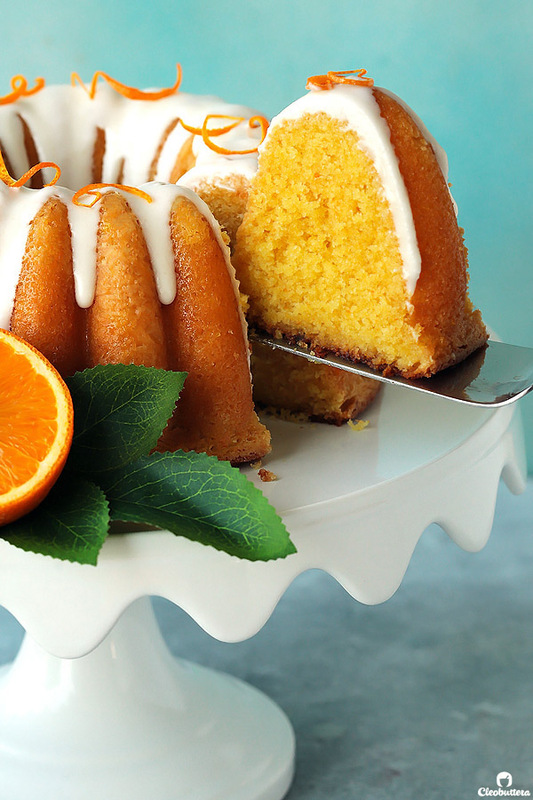 A perfectly simple, everyday orange cake that awaits your fork to dig in. FYI…its heavenly while still warm. If you’d like to dessert-ify the cake, wait for it to cool, then drizzle with this amazing cream cheese glaze. As much as I prefer its humbling taste without the glaze, I can’t deny that it makes it more picture perfect. So yes…this cake is dedicated to all my wonderful readers who honor me by putting their trust in my recipes. What began as a testing object driven by recipe requests, has now become my newly found cake flavor of choice. I’m now Team Orange with the rest of you! So thank you for pushing me out of my flavor comfort zone. Adjust oven rack to lower middle position and preheat the oven to 350F/180C (325F/160C if using a dark pan). Generously grease and flour (or spray with a non-stick cooking spray) a 6-cup bundt pan* (*see note). Set aside. 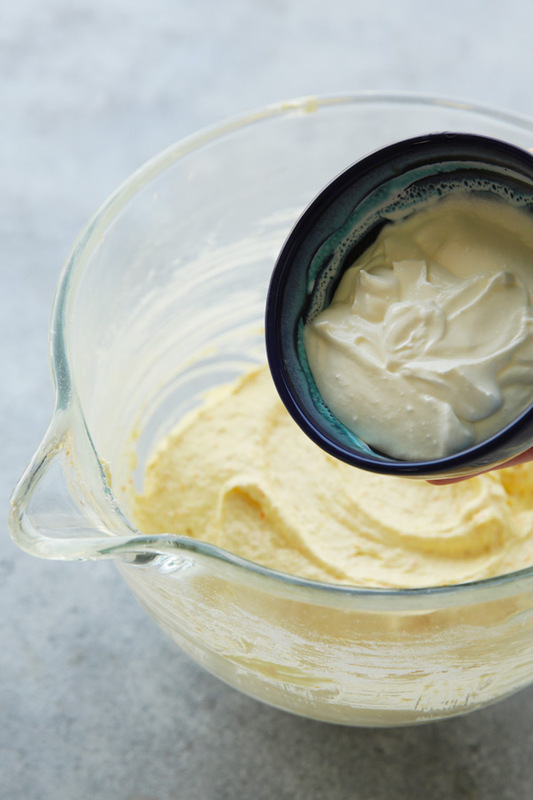 In the bowl of a stand mixer fitted with a paddle attachment (or in a large bowl and an electric hand mixer), beat the butter on medium speed until creamy, about 1 minute. With the mixer running on medium-low speed, gradually add in the sugar, followed by both orange and lemon zest. Raise the speed to medium-high and continue beating together until lightened up in both color and texture; 4 to 5 minutes. The color should turn very pale (almost white) and texture should look fluffy. Add the eggs, one at a time, beating well after each addition. Add in the vanilla and sour cream, mixing until well incorporated. On lowest speed, add in one-third of the flour mixture and mix until mostly combined. Add in half of the orange juice and lightly stir until almost mixed in. Continue with adding another one-third of the flour mixture, followed by the remaining orange juice and ending with the last third of flour mixture. Mix until just combined and a smooth batter forms. Do not overmix. With a rubber spatula, give the batter one good, final stir to make sure that everything is well incorporated. Transfer the batter to the prepared pan and smooth the top. 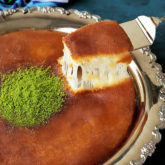 Bake for 25 to 30 minutes, or until the center of the cake springs back when lightly touched, and a wooden skewer inserted between the tube and sides comes out clean or with a few cooked crumbs attached. Transfer the pan to a wire rack and cool slightly. Meanwhile, make the orange syrup, if using. 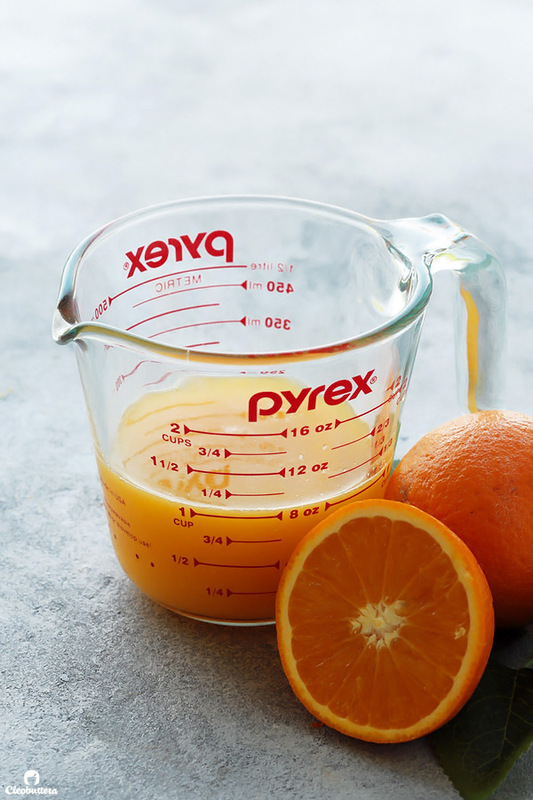 In a tiny saucepan over very low heat, bring together the orange juice and sugar to a simmer until the sugar is dissolved. Remove from the heat once it reaches a simmer. Using a thin skewer, poke tiny holes all over the cake. Brush the surface of the cake with about one-third of the syrup. Let the cake cool in the pan for 10 minutes, then invert onto a serving platter. Brush the top and sides of the cake with the remaining syrup. Allow the cake to cool slightly before serving, or wait until its barely warm before glazing (if using); at least 40 more minutes. 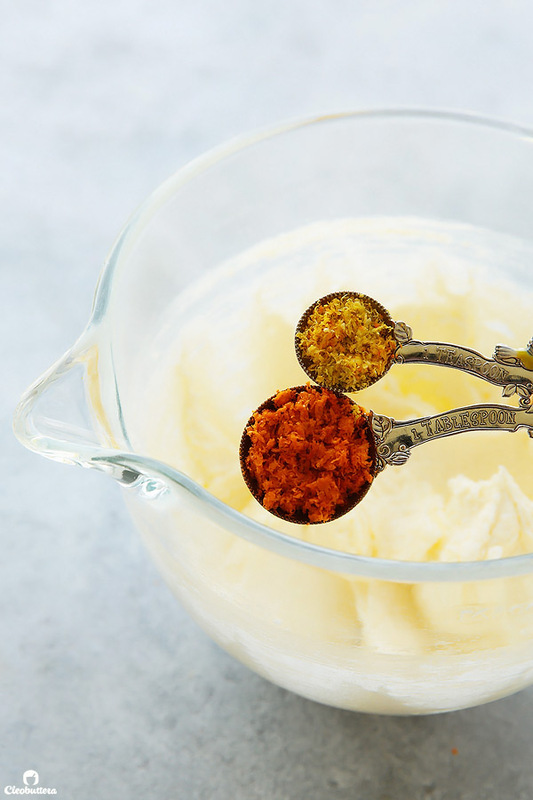 In a medium bowl, whisk the cream cheese until smooth. Add in the powdered sugar, and whisk together until no longer lumpy. Whisk in enough heavy whipping cream to get the mixture to a thick, yet pourable consistency. Pour the glaze all over the cake then give it enough time to set. Garnish with strands of orange peel, if desired. Cut into slices and serve. Store leftovers in an airtight cake dome at room temperature for 3 to 4 days. This recipe makes a small bundt, enough to fill a 6-cup bundt pan, which is different from what is shown in the pictures. 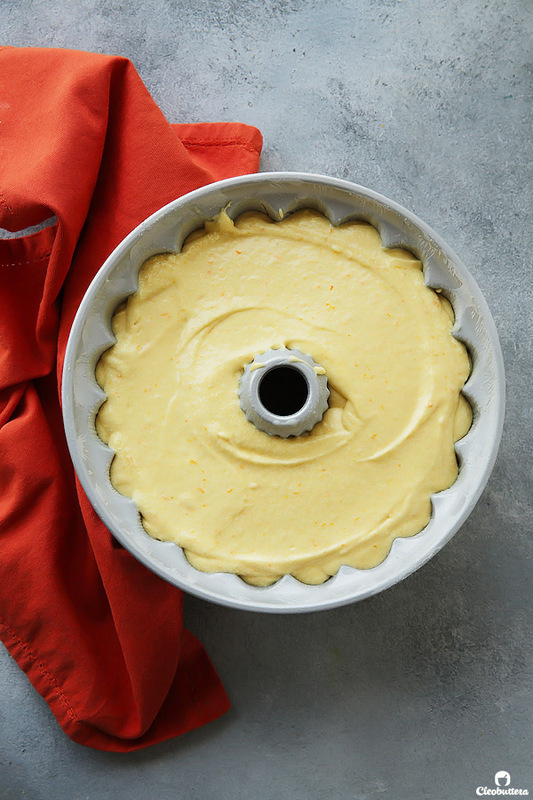 I doubled the batter for the pictures to fill up this 10-cup bundt pan, because let's be honest...it's a looker and I wanted to use it so bad. I later found out that the results of the doubled recipe turned out a lot denser than the original recipe I was testing with. For that reason, I don't recommend doubling the recipe, unless you prefer dense cakes. 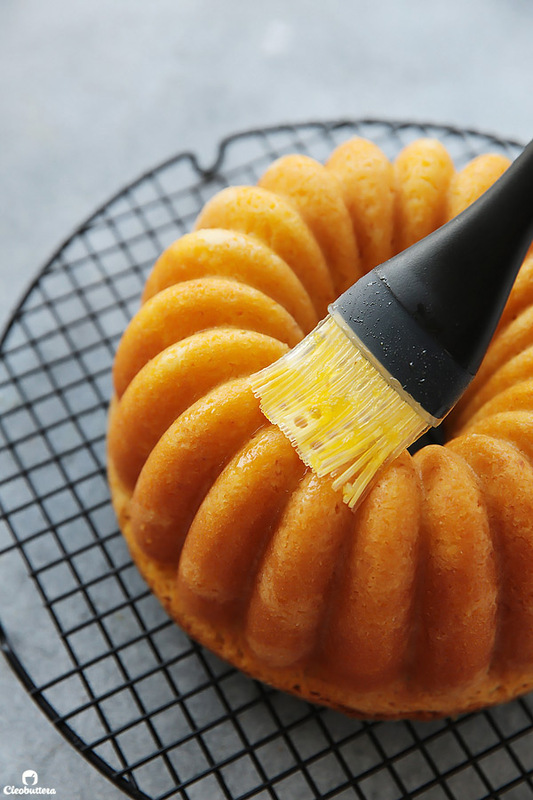 If you don't have a 6-cup bundt pan, you may use the more traditional 10-cup bundt pan (like that shown in the pictures), but note that it will be shorter in height, yet equally delicious. Alternatively, a 9" round cake pan or 8" square pan may be also be used, yet baking time may vary. With that said, the bundt pan in the pictures is by Nordicware. 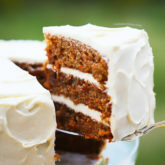 Cornstarch is used in combination with all-purpose flour in this recipe to imitate the results of cake flour, which produces a finer and more tender crumb. Cake flour could be hard to find in some countries, so this trick works like a charm. If you have cake flour on hand, feel free to use that instead of the all purpose flour/cornstarch combo. 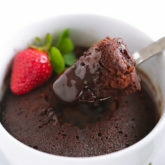 You will then need to use a total of 1½ cups (180g) cake flour. If you don't have sour cream and/or would like to increase the orange punch of your cake, you could omit it and sub in more orange juice. I tested it both ways and personally prefer the orange juice/sour cream combo for the tangier notes it lends and for that ever-so-slightly extra moisture it adds, but it's still amazing with the ALL orange juice option. 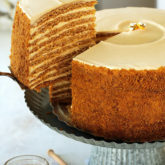 The orange syrup adds another layer of orange flavor, and a little extra moisture, but the cake won't suffer without it. It took me a while to decide whether I want it in the recipe or not, as the difference with and without is minimal, which is way I kept it optional. Personally, I think it's better with it by just a hair. So feel free to skip this step if you're all about simplicity. Thank you for this and I will be trying it but would point out that at point 6 you state to transfer to the prepared pan. This is before flour and juice are added! A typo error I presume. I love your recipes and look forward to trying this one. Thank you so much Sharon for the heads up. It is indeed a typo. I meant to add it at the end of step 7, but mistakingly placed it in step 6. I’ll fix it once I return home. 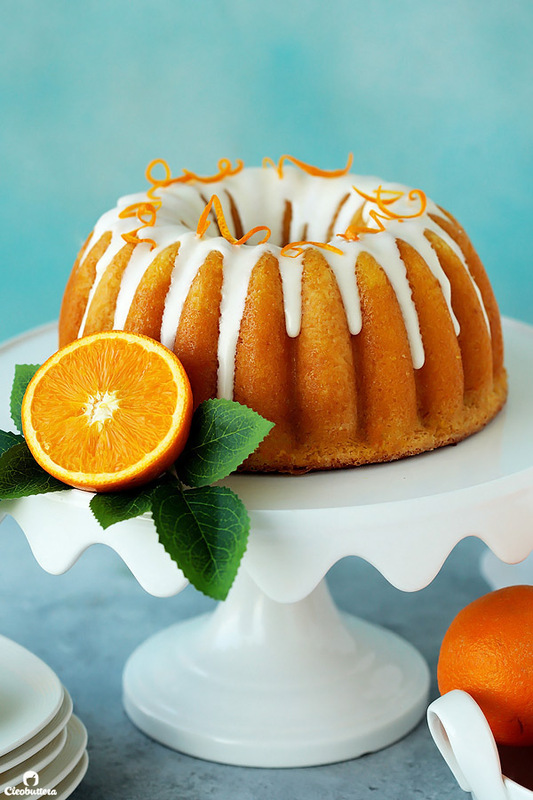 This orange cake is the next in my kitchen. Your recipes are awesome, and the marble cake is my go-to weekly cake. Then I just saw the sticky toffee pudding, will try that one too. 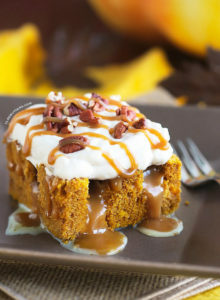 Thank you for sharing good recipes!! Aaaawwww thank you much Camila! It really makes my day to know that you’re enjoying the recipes of the blog! Sticky toffee pudding is one of my all time favorites…I hope you love it as much as I do! And if you like that marble cake, then you’re gonna love this one, as it has the same tenderness. 1. If I dont have a bundt pan, can you please comment on the baking time if I use a loaf pan? 2. 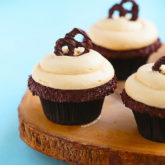 Can I use this recipe tomake cupcakes instead? 3. Can you suggest a way to make an orange n chocolate marble cake? 1. Baking in a loaf pan will most probably take longer to bake, but I can’t tell for certainty how much longer since I haven’t tried it for this recipe. I recommend to start checking around 30 minutes then add an extra 5 minutes, if its still not baked through and so on. 2. 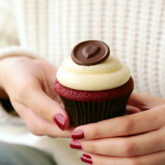 Although I haven’t tried this recipe as cupcakes, I do believe it should work just fine. I encourage you to go for it! 3. I have a marble cake recipe on the blog that is so popular! 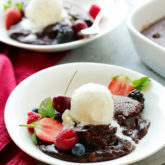 I suggest using it’s chocolate marble portion of the recipe and work it into this one. Thanks for the response Tasbih! 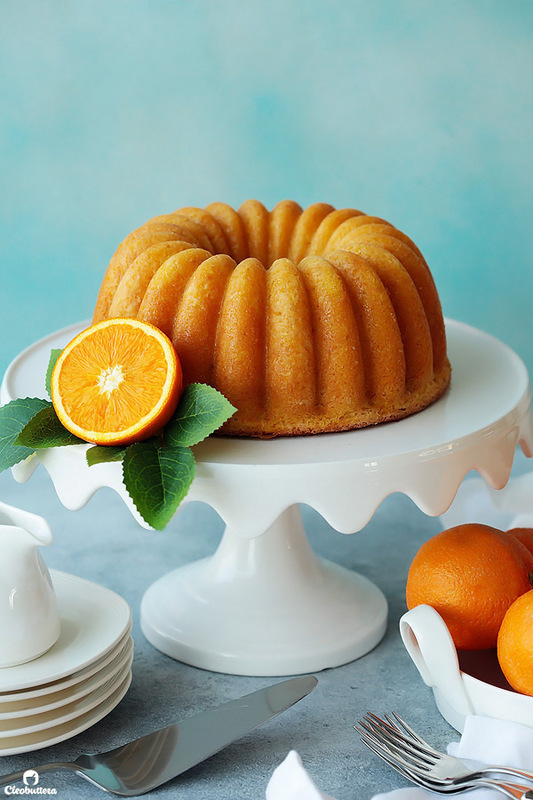 One follow up question on the marble cake that I want to try – If I want to use the 6 cup bundt cake pan, how should I reduce reduce the quanty of the orange and chocolate batters? It’s my pleasure Sneha. The batter makes enough to fill a 6-cup bundt pan, so make the recipe as is, but only about 1/2 of the chocolate paste recipe. Enjoy! Okay, so I’ll make only half of the chocolate paste recipe, and use this orange batter to max it into, and make the chocolate batter. Correct? 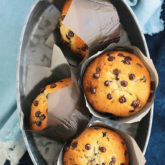 Sorry about the multiple questions, but I love the combination of orange and chocolate, so want to try this marble cake! Don’t say that! I actually really enjoy questions and comments, so keep them coming! And yep…you make half of the chocolate paste and mix it with 3/4 cup of orange batter. Would love to know how it turns out once you try it! Hi Tasbih, for sure I will follow you with this orange cake. I have the small non stick bundtcake. Just to make sure for baking you said I use the lower than the middle rack oven. You inspire me by making things look easy. You love what you do and it shows. Hi Lily! Love hearing that you’re interested in making this cake. I hope you love it! The oven rack is adjusted to the lower-middle position…so not smack in the middle and not on the lowest; just in between. Yeah I made this cake this morning and it’s delicious! It took about 4 oranges to get the amount of zest and after I used the required amount of juice I had a lovely glass of freshly squeezed orange juice. One tip I came across some time ago regarding using cornflour and flour is to sift the two ingredients five times so that the two are evenly distributed, adding the baking powder, baking soda and salt at the last sift. I used a nine inch round loose bottom cake pan and lined it with baking parchment. Baked at 160 fan on the lowest shelf and it took around 28 minutes. I checked it at 25 minutes and it just needed the extra three minutes. The syrup really lifted the flavour and it’s delicious and moist. Thank you for this recipe. Yay Sharon! So happy to know that you enjoyed this cake! Thanks for the flour/cornflour sifting tip. Though I’m usually too lazy to sift that many times, I can imagine how even fluffier all the sifting will make the cake. I’ve got to try it! I’m sure you can as I have often used Greek yoghurt when I don’t have sour cream when making cakes. Hi Zubaydah! I agree with Sharon…the best substitute for sour cream is Greek yogurt. Although I also tested this recipe with buttermilk instead of sour cream and it worked pretty well too. WoW! 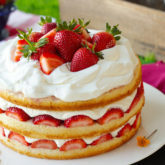 this cake looks so good. Can I skip without using sour cream or what can I substitute it with ? Hello!! This cake is awesome. Just came from the oven, and it is almost gone. It is indeed a small recipe (didn’t double it, perfect for a small family). 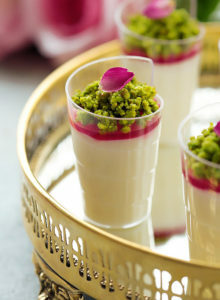 The ingredients were measured by weight, and I found it to be very appropriate for the balance of flavors and sweetness. The cake came out beautiful and delicious, exactly as expected (based on the perfect marble cake of yours that I love). Just skipped the glaze. I ended up reducing the sugar down to 170g as I didn’t have so much sugar and needed it for other things, including the syrup (I trusted the orange juice to be sweet enough to compensate, and it was all right). Used full fat sour cream and cake flour. Baked for precisely 30 minutes. Great recipe. The orange flavor is not overpowering, and there is no citrus aftertaste. The texture is light and is not crumbly. The ratio sugar/orange juice for the syrup is also excellent. Again, thank you for sharing it. I hope other readers will love it too. No need to change anything. 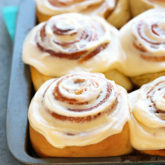 That’s our new favorite, and will bake it again soon! Oh my goodness Camila this is the best review ever! Love how detailed and throughout it is, but what I love even more is how much you loved it! That makes me so happy and makes all the recipe testing worth their while. Thank you so much for taking the time to write your wonderful feedback! Omg that cake is super delish!!! I made an ugly orange cake last winter that went straight to the bin, and since then had no courage to try. But this cake of yours is unbelievable. Perfect in every way!! Thank you. This was my redemption orange cake to my family LOL. I just switched sugar with honey but I put a little more for the sweetness. And did the syrup just as u said. That’s so amazing to hear Sara! And redemption orange cake…lololoool! Good for you for showing them your true baking skills. Im happy the recipe worked just as well with honey…that’s so good to know. Can we substitute butter with oil? Have heard that oil based cakes are softer . Is it true ?If so how much oil would you recommend ? Hello Thahseen! So sorry for my late reply…I have no idea how I missed your comment. I promise it was unintentional. To answer your question, yes oil is known for producing soft cakes but at the expense of flavor. 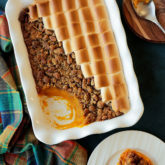 I’m honestly not a fan unless it’s in something heavily flavored like carrot cake for example, where the butter flavor won’t shine through anyway. But in lightly flavored cakes like this one, where depth of flavor is helpful, I prefer butter, otherwise all I can taste is oil. 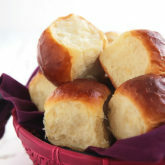 I also like the fluffier results that the process of creaming butter and sugar together creates. I have not tested this particular recipe with oil, but I have tried similar ones that call for oil, and the texture and flavor cannot even compare. What I can assure you of, is that this cake is already insanely soft from the addition of orange juice and sour cream, so oil is definitely not needed. I’m so touched by your comment Claudia! Your trust means everything to me. I hope my recipes continue to make you happy and never let you down. can I use vegetable oil instead of butter? Hi Nada! I have not tested this particular recipe using vegetable oil, so I can’t really tell for certainty. 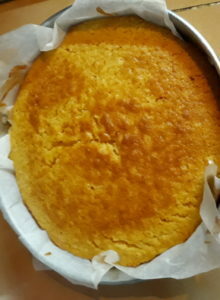 However, I did try other orange cake recipes that use oil instead of butter, and honestly, the texture and flavor do not even compare to that made with butter. My guess would be that oil will technically work, but you won’t get the optimal taste and texture. If you can, I highly suggest making it with butter for the first time around just so to get an idea of how it’s supposed to be like, then experiment with oil in future trails. If you do, we’d love to know how it turns out! Best of luck! I baked this cake yesterday and turned out good and delish..thank you for the receipe..def keeper..i used normal round tin..
I’m really happy to hear that you enjoyed the cake Anis! It’s so good to know that it works in a round pan just as well. Beautiful photo…thanks for sharing! 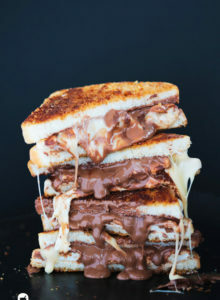 So I have been binge making all your recipes and came across this stunner .. I am planning to make it ASAP and would like to know how do u prep your bundt pans, Is it butter only or with flour added as I don’t see any specs of flour on that beauty! I have a 10 cup bundt so I need to be doubling the recipe right? Would that still end up being denser? I know it’s too much to ask but I wish you could post more recipes we want to see more middle eastern bundt cake recipes using pistachios and all the rich flavors .. I can flow ur recipes blindly coz given the food nerd that you are, I know how extensively you would test before posting it here 🙂 that’s one reason I get greedier for trying more of your recipes! Hahahaaa Muhsina you’re awesome😄 Thank you for all this and above all, thank you for your trust. I hope you’re enjoying all the things you’ve been making from the blog. To prepare my bundt pan, I almost always use a baking spray with flour in it such as Pam. When I don’t have any on hand, I grease it with either butter or shortening, then dust it with flour. With Ramadan coming up, you’ll sure be seeing a lot of Middle Eastern recipes. That’s when I focus the most on Middle Eastern sweets, as its traditional in Egypt. Pistachio bundt cake is an amazing idea! I’ll sure add it to the list of all the things I want to bake and share with you guys. Thanks for your suggestion. After extensive research for an orange bundt I settled on making this cake and it was the best decision I made!!!!!! It turned out beautifully and everyone at the party RAVED about how moist and perfectly orange it tasted. I added Grand Marnier to the glaze and decorated it with roses. I doubled the recipe for a larger size bundt pan like you have pictured and it worked great. It was definitely not too dense. The one little thing I did different was to wisk all my wet ingredients together separately and then alternate adding wet and dry to the mixer. Worked great. Could this be made with lemon juice/zest instead of orange do you think???? I love the recipe so much that I would love to use it again and substitute lemon juice and lemon syrup. Omit orange zest & increase the lemon zest to 1 tablespoon, if not more. Increase sugar by 1 or 2 tablespoons, because lemon juice is less sweet and more sour than orange. I’d love to know how it turns out if you do give it a try. Best of luck! Thank you so much for the tips! I might just have to find an excuse to try both versions!